I have been a fan of Maggie Beer for a long, long time. She started out rather modestly in the Barossa Valley creating recipes to use produce she had at hand. I have always loved that concept. Why go to the supermarket and buy something that has come halfway around the world when there is perfectly good food growing close by? Her husband farmed pheasants, so she opened a restaurant and created recipes to showcase them. She then branched out into quince paste in an effort to use her quinces and then verjuice when they had a glut of grapes. The rest, as they say, is history. Personally, I think she has gone the way of Jamie Oliver but, originally, she clearly struck a cord with a lot of people. Two of her best books, in my humble opinion, are Maggie’s Farm (1993) and Maggie’s Orchard (1997). They are structured around ingredients readily available in the Barossa Valley. Today’s recipe comes from Maggie’s Farm, her very first book. This recipe, true to Maggie’s origins, was created to find a use for the by-product of her friend’s glacéd cumquats – the syrup. When I read this, I could not believe my eyes. Remember my 6 jars of syrup? Remember my words? Not only did I get lots of lovely glacéd cumquats, I also ended up with 6 bottles of very thick syrup that has an intense cumquat flavour. I have absolutely no idea what I can do with it but I certainly won’t be throwing it out. It has the consistency of thick honey. The only thing that I can think of is putting it on toast, although I did wonder whether I could make toffee with it. Any ideas? This tart is very, very rich. A very thin slice goes a long way. The overwhelming flavour is the brandy, not cumquats, so I am sure you could use any syrup you had at hand. I have some syrup left over from candying orange peel. It is a likely candidate for similar treatment. After I made this tart, I noticed there is a similar recipe in Maggie’s Table. I might try it one day. Shortcrust pastry. I used this recipe. Spread the almond meal out on an oven tray and place it in the preheated oven. Bake for one hour, stirring every 20 minutes. Set aside to cool. Roll pastry out and cover a flan tin. Refrigerate until required. The recipe calls for a 22cm flan tin. I used a deep dish and I am glad I did. The filling would not have fitted into a shallow 22cm tin, therefore, either use a deep tin or go bigger than 22cm. Mix together the almond meal, cinnamon and cumquat zest (or chopped, glacéd cumquats). Stir in the brandy, cumquat syrup and butter. Put the mixture into the tart shell and pat down. Dot the top of the tart with butter. Bake in preheated oven until the crust is golden (approximately 30 minutes). Combine the chocolate, cream, water and cumquat syrup in the top of a double boiler. Remove from heat and stir in brandy and butter. Smooth glaze over tart with a spatula. Do not refrigerate tart. Serve with whipped cream with a bit of the cumquat syrup stirred through. 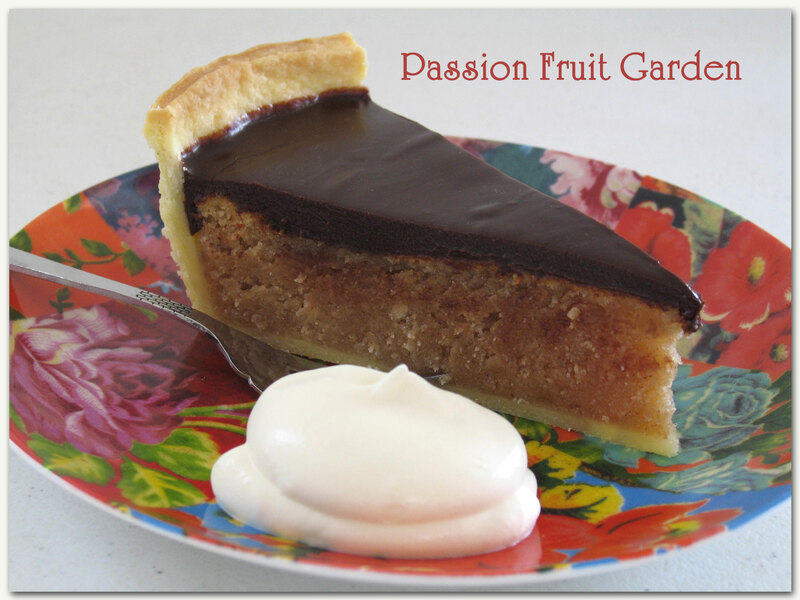 This entry was posted in Pies and tarts, Sweet Things and tagged Glaced cumquats, Maggie Beer, What to do with cumquats?, What to do with syrup after glaceing fruit by Glenda. Bookmark the permalink. Glenda that does look tasty. Those jars of syrup look like precious although I don’t think I’ve ever tried a cumquat. I think you get some very exotic things over there that we just never see in our markets or which we really have to go on a mission to hunt down. Please excuse the rogue apostrophe! Alan and I were the lucky recipients of this last week at dinner. It was fab. Rich but not sickly with a beautiful blend of flavours. Hiya Steve. It is nearly goodbye time for you. Have a wonderful holiday. It sure was rich, wasn’t it? Hi Sandra .. and you could replace the cumquat zest with the bits out of the marmalade. 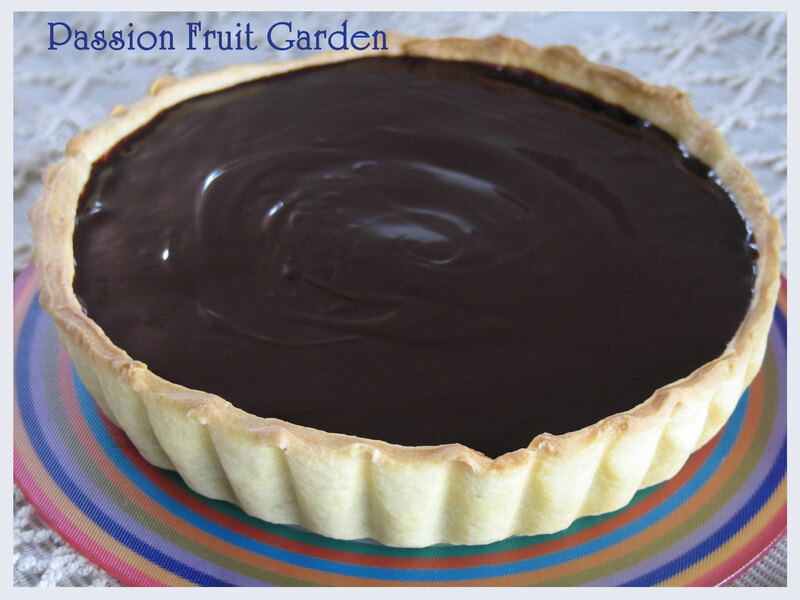 The tart looks lovely, like a special occasion sweet… I think I could manage a few delicious mouthfuls with a cup of coffee. I laughed as I checked the ingredients… 6 cups of ground almonds – but uses 1 1/2 cups excess cumquat syrup. This has been known to occur in my kitchen as well. Don’t make me laugh Ella. 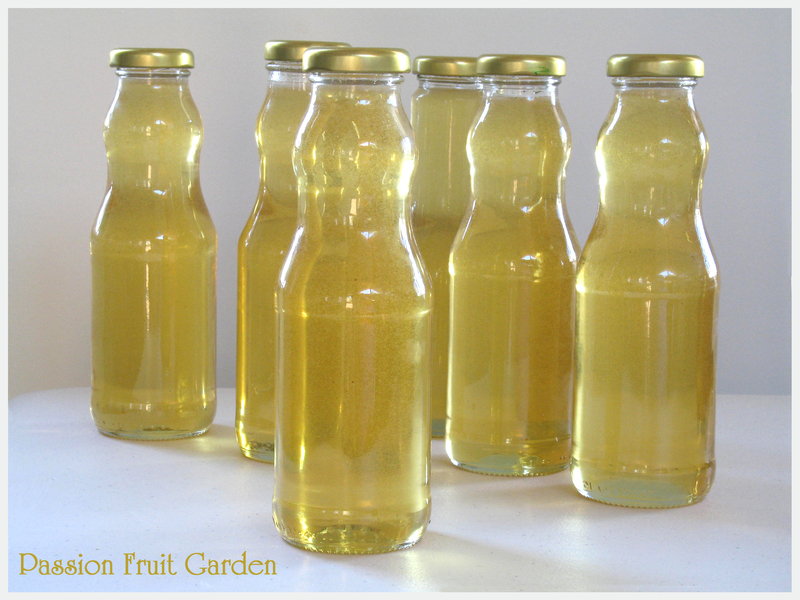 You cannot imagine how happy I was to find a recipe that actually called for cumquat syrup.